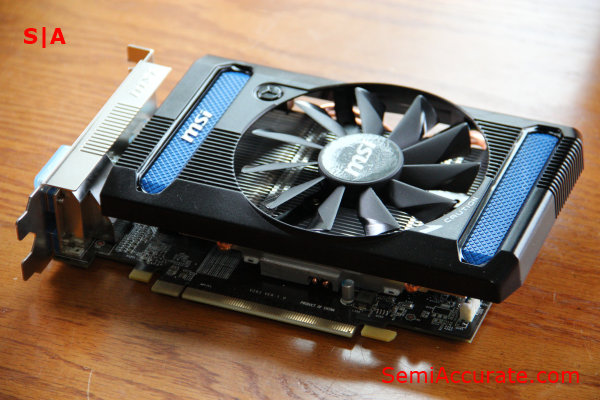 Last month we covered the launch of AMD’s HD 7790 mid-range graphics card. At the time weren’t able to run any benchmarks because we didn’t have a sample on hand. 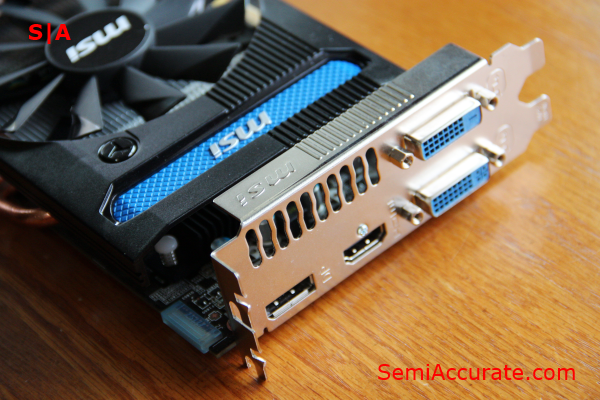 But we recently received a production unit from MSI so we decided to pit it against Intel’s HD 4000. Of course the outcome of this contest is easy to predict, but the question we’re trying to answer by running these benchmarks is, “What do you gain by dropping an extra $150 on discrete graphics?”. It’s from this perspective that we’ll be re -viewing AMD’s HD 7790. Let’s start by taking a look at physical design of MSI’s offering. The HD 7790 is best described as a stout little graphics card. Despite having a relatively short PCB, that’s similar in length to older cards like the HD 3650 or HD 4670, the HD 7790 is a dual slot card rather than a single slot solution which is more common with graphics cards of this size. To its credit though, the HD 7790 makes good use of this space with a large aluminum heat-sink that uses two copper heat-pipes to cool the chip, code-name Bonaire, sitting below it. As far as color choices go we have MSI’s standard fare of black, blue, silver, and white. The fan shroud has a heavily styled design with a blue-diamond-patterned-vertical-cutouts on either end, tapered edges, and rows of fine lines that flow across the top and bottom of the shroud and on to the front panel bracket. But despite all of the individually interesting physical details on this card, the only thing that really manages to standout on it is the impressively large size of the fan. A set of dual and single link DVI ports, an HDMI port, and a full-size Display port from the output array on this HD 7790. This is a very standard arrangement for this market segment, although the inclusion of a full-size Display port is a nice forward looking touch. Thanks to some new tools in our orbital lab we were able to do some noise testing on this card. At idle the fan noise coming from the card itself was indiscernible from the rest of the system at 48 dBA. Under load though, MSI’s fan bumped the system noise output up to a solid 50 dBA. This is a very small increase in system’s total noise output, but there is an audible difference between when this card is idling and when it’s under full load. From AMD’s Overdrive control panel we set the card’s fan to run at 100 percent duty which resulted in an artificially high noise output of 58 dBA. 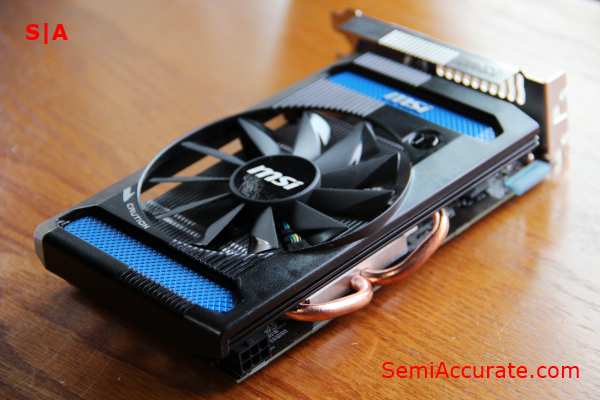 Anyway you slice it though, MSI’s HD 7790 is a quiet graphics card. 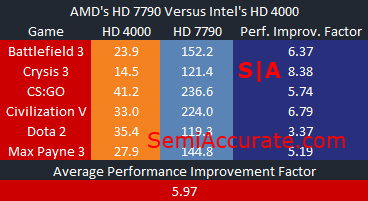 For our benchmarking session we’ll be using the same in-game settings found in this article so that we can directly compare the performance of the HD 7790 to that of Intel’s HD 4000. Needless to say our benchmark are a blow out in favor of AMD’s latest graphics card so we’ve opted to skip our normal graphs as they don’t show us much, if any, useful information in this instance. Instead I have a comparison of average FPS numbers which answers the question we’ve posed in a much more succinct way. On average the HD 7790 out performs the HD 4000 by about a factor of 6. Considering that the i7-3770K we ran these benchmarks on sells for $330 and provides a mere sixth of the performance that MSI’s $150 HD 7790 OC can offer, there seems to be a pretty convincing argument to be made about the value of upgrading to a mid-range discrete graphics card from Intel’s HD 4000. There are only really a small set of cases in which upgrading a single component can have such wide-ranging and significant effect like this.